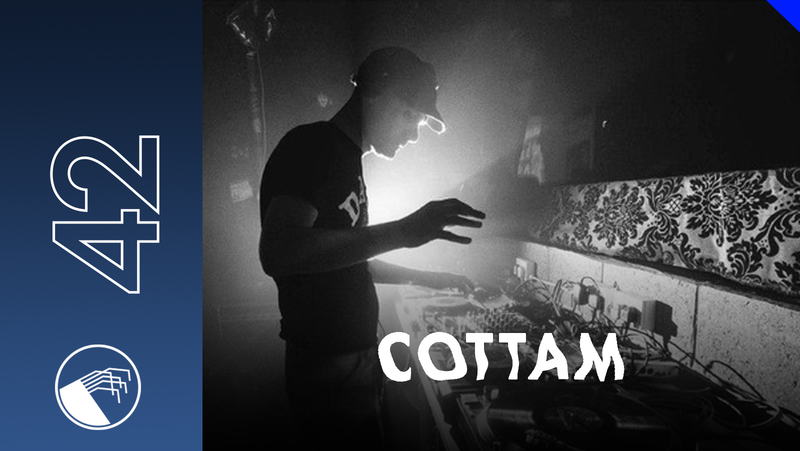 Our fresh podcast by UK based producer and dj - Cottam. He first came to wider attention with a series of limited edition 12?s released from 2009 onwards, showcasing his production talents by re-working afro-beat, neo-soul, funk & hip-hop into quirky deep house burners that really stood out from the crowded racks of disco edits & 90s house rip-offs, not only for the original source material but by following a different path to keeping the dancefloor moving. He has gone to release original music & reworks on Story, Use Of Weapons, Aus, Amp Art, Flight Recorder, Sound Of Speed, Endless Flight, Phonica, Wolf Music, Delusions Of Grandeur, Tru Thoughts & Audio Parallax and DJed around the world mixing techno, deep house, and anything else with a groove into a rich sonic stew. DJing is his first love and primary focus, and you can hear the passion every time he takes to the turntables, whether hes mixing dark heads down techno, beatdown house or groovy disco. He is also a resident at the highly respected Bohemian Grove night in Salford, Manchester. 2014 saw the realisation of a long held ambition with the launch of his own label, Ruff Draft. The first release came from the man himself and future releases are lined up from LK, Louis Guilleme & Robot84. As if thats not enough to keep one man busy, Cottam has forthcoming releases on Moton, the new Moton subsidiary Machine, Pinkman & !K7 (an exclusive track for Will Sauls DJ Kicks mix), as well as remixes on Constant State, Love Monk, Leftroom & Plastic Love.